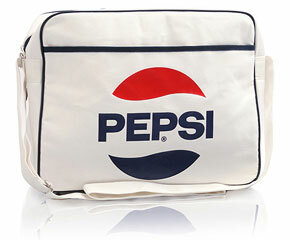 You might look like a walking sandwich board, but there’s no denying the 70s vibe you’ll get from this Pepsi travel bag. The logo is printed onto the white bag in dark blue and red, with a large main pocket and smaller side pocket, plus an adjustable strap. You can pick one up for £25.